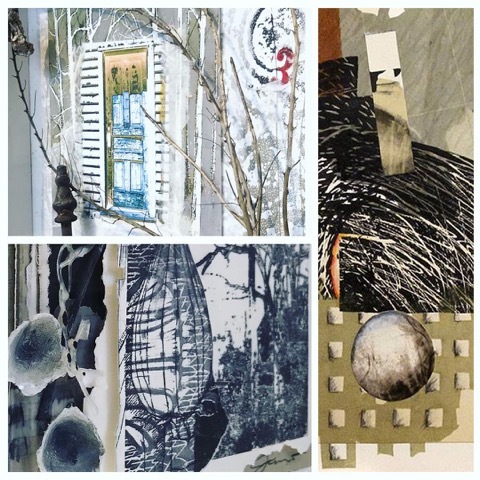 Studio Conversations is a collaborative exhibit of mixed media works by Mary Bookwalter, Janice Meister and Carol Weber. Knowing that artists work in the vacuum of their own studios, these three artists and friends found a way to interact with each other’s process while still creating individual works of art. Their common themes along with similar sensibilities in the making of art created the foundation for the dialogues about methods, material and content that ensued. Opening Reception Wednesday March 6th from 5-7pm. All are welcome to attend.